1. 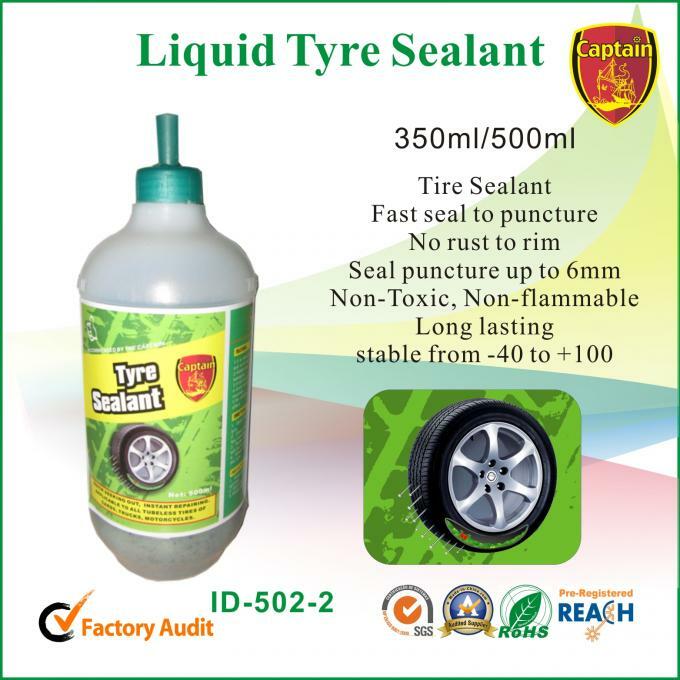 Open the valve of tyre, fill this Magic Tyre Sealer into the tyre. 2. Close the valve of tyre, and turn the tyre running for a few minutes. 3. Pump the tyre. Slowly drive 1-2km, and the punctures will be automatically bonded. 4. 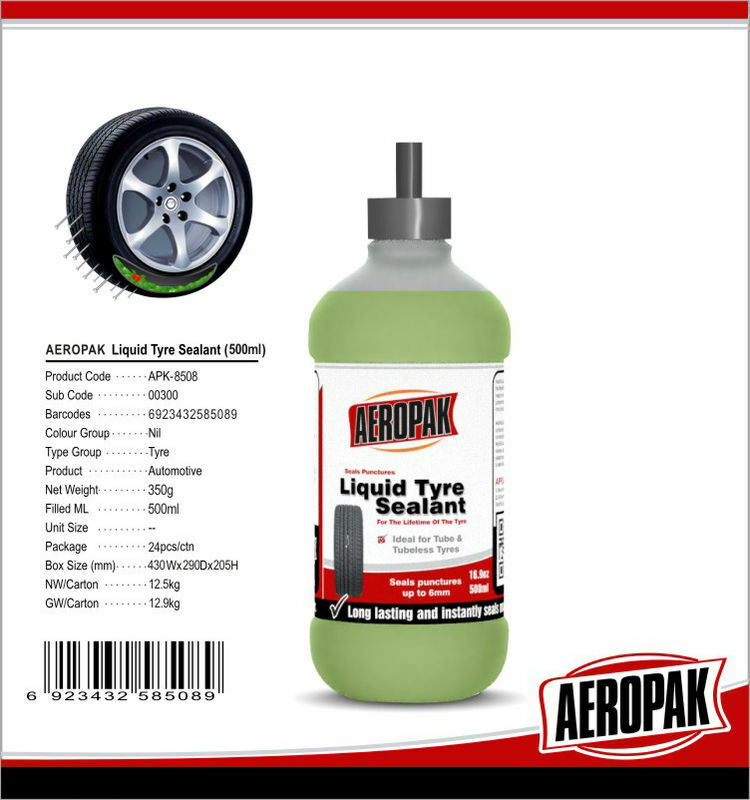 125ml-250ml for bicycles; 200ml-350ml for motorcycles; 500ml-1000ml for small size cars; 1000ml-2000ml for big cars. 5. When driving, if find insufficient air in tyre, re-pump the tyre.